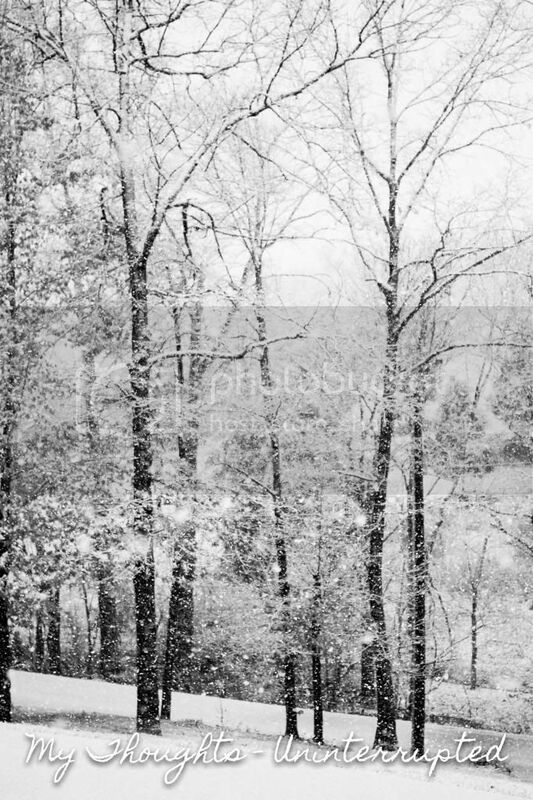 There is nothing more magical and exciting in the south than a snow day. It happens so rarely here...at least snow of enough quantity to actually do anything in. When the weatherman reported that we would be having decent snowfall last week, I was more than doubtful. It had been raining...flooding...for three straight days prior so even when MDO was called off early, I was still in disbelief that it would turn into anything more. Low and behold, the weatherman was actually right and for a day and a half we had a winter wonderland to play in. 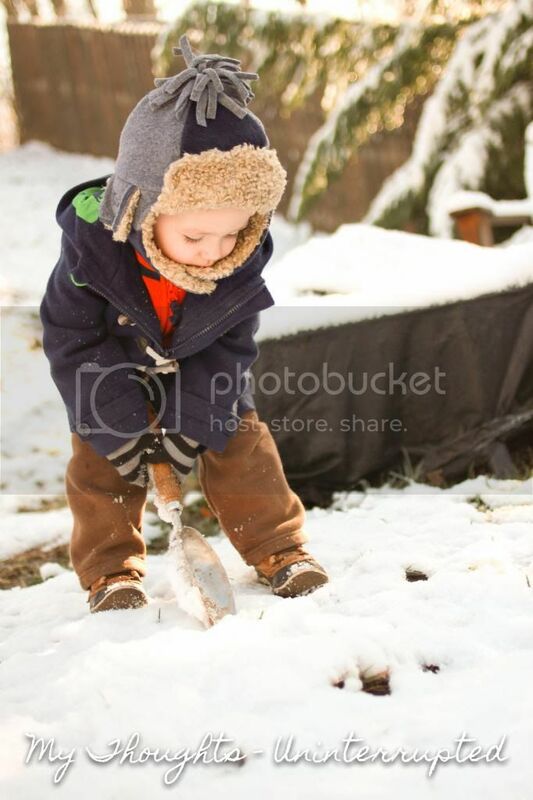 This wasn't Ethan's first official snow, but it was the first one he could actually get out and play in. I remember his first snow quite well. As a new parent I was too scared to actually get him out in it, so I brought a mini snowball in for him to experience it. I placed it in his hands and he screamed bloody murder. I guess infants don't like cold things...who knew? Jackson's first experience wasn't much different although this time...I wasn't too scared to get him out in the snow at least for a quick picture. Right out of the door an extra large snowflake hit him square in the eyeball and it was GAME OVER. He squalled for the rest of the time although in the picture below we are pretending he is catching snowflakes like the rest of us. Ethan throughly enjoyed being outside in the snow although I'm pretty sure he was just happy to be out of the house in general after being trapped inside with all that rain. We taught him how to make snowballs and he was more than thrilled to chuck one or two at me. The next day we got back out for a little more fun before it began to melt away. We transformed his sandbox lid into a sled and coaxed him into trying it out. He wasn't very impressed, but me and Michael had a great time reliving our childhood days. The snow never lasts long enough around here. 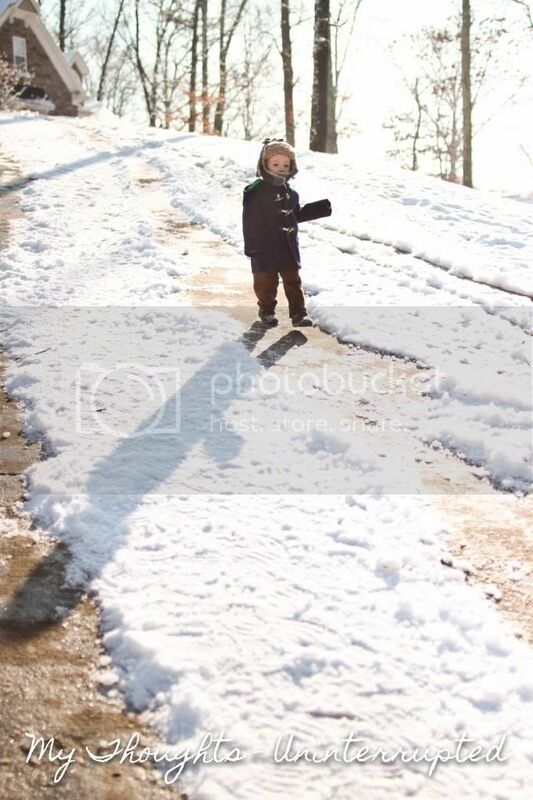 When Ethan woke up from his nap that afternoon it had already begun to melt. He was concerned and I explained that snow was special. It only happens every once in awhile. You never know when it's coming, but when it does, you have to seize the moment. We will anxiously be awaiting our next snow day. I have a feeling it will be greeted with even more excitement. Maybe we can even make our first snowman. Oh my word, that 4th picture! Cracks me up! How fun! 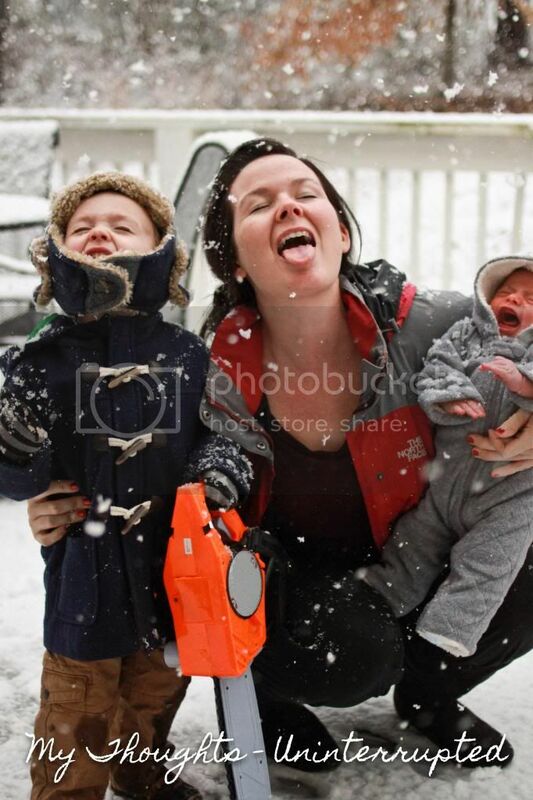 I wish we'd get enough snow to take Ethan sledding - he's never been. 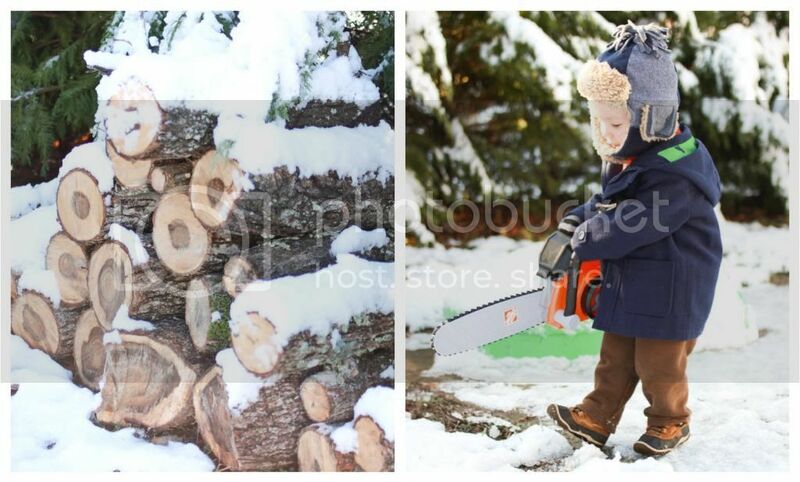 okay so these pictures ALMOST made me want a snow day. 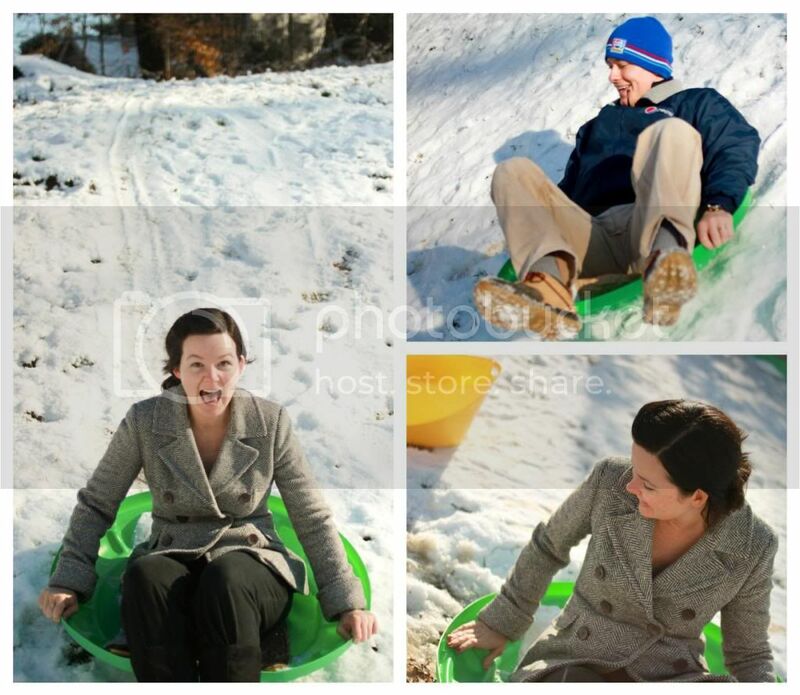 then i remember how much i hate the cold... but it does look like so much fun! !